Futch and 46 others arrested for drug possession and sale charges in Clay County FL. On Monday, 47 people were arrested for various Florida drug charges. The Clay County Drug Task Force conducted a warrant sweep. Men and women from Duval, Putnam, and Clay County were arrested. There was a 48th suspect. He “was not served, since the man died before it could be carried out, according to the Sheriff’s Office.” (Major drug bust centered in Clay County nets 47). This Clay County drug investigation began approximately one year ago. A task force sent out an undercover team to investigate drug dealers in the area. “The Clay County Drug Task Force is made up of the Clay County Sheriff’s Office, U.S. Marshals Fugitive Task Force, Green Cove Springs Police Department, Drug Enforcement Agency, Orange Park Police Department, the State Attorney’s Office, the Department of Corrections and the Bureau of Alcohol, Tobacco and Firearms and Explosives.” The Clay County Sherriff’s Office (CCSO) was “responding to reports from residents concerned about illegal drug trade and activity involving cocaine and pills.” According to local media reports, “Investigators originally focused on Forman Circle in Middleburg, but as they obtained more information, they found suspects throughout Clay County. 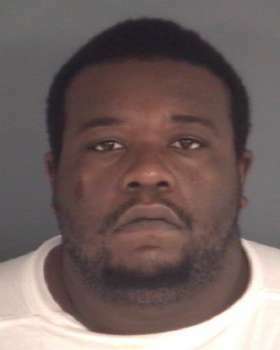 Maurice Futch, 31, who was arrested Monday, is considered a notable suspect by the CCSO. He is considered a ‘high level dealer’” (Nearly 50 arrested in Clay County drug bust). Futch was arrested for drug possession and sale and delivery of cocaine (crack) within 1,000 feet of a church. He also has multiple counts of sale and delivery of cocaine. He was also charged with Florida possession of a firearm by a convicted felon. The firearm charge alone could lead to mandatory prison time under the Florida 10-20-Life Statute. Read Jacksonville Gun Lawyers and Felons with Firearms Face New Florida Law for more information about Florida gun laws about felons possessing guns or ammunition. Futch’s bond is set at $390,000. This means that he will need to pay $39,000 to a bondsman. This is 10 percent of the $390,000 bond. On top of the high price tag to get out of the Clay County Jail, he will likely be hiring a Clay County lawyer or Jacksonville criminal lawyer. I am sure that he is thinking, “How Much Does A Lawyer Cost?” Hiring a Jacksonville criminal attorney is not going to be cheap for major drug charges like these. Selling drugs in Florida is a serious charge, and Futch has multiple counts. There is a list of the other people that were arrested with this Clay County drug bust. Some have been arrested for Florida drug trafficking crimes. For instance, Jeffery Cook and Vicki Irwin were arrested for trafficking in Hydrocodone. Ronald Allen, Bryan Harvey, and Tina Hoilman were arrested for sale or delivery of Oxycodone. Billy Marrell was arrested for sale or delivery of Alprazolam. Jimmie McDaniel and Lisa Mcleod were arrested for sale or delivery of marijuana in Florida. There were also arrests for misdemeanor drug charges. Joseph Hulsey, Jesus Molina, and Michael Rodriguez are facing Florida possession of drug paraphernalia charges. Even though possession of drug paraphernalia is a minor offense compared to the felony charges, they should still have Jacksonville criminal defense attorneys looking out for their best interests. Here is a complete Clay County drug sweep list. It is likely that the criminal defendants in this case will have a conflict between each other. If they had the same lawyers, this could be a conflict of interest. They will likely need different Florida criminal attorneys. That means there will be several Florida criminal lawyers involved in this case. Some of these cases will go to jury trials at the Clay County Courthouse. Other defendants will likely work out a deal or plea bargain with the State Attorney’s Office. Those that enter into a plea deal will likely testify against their co-defendants. The police have been building a case against these defendants for a year. That means that they have the upper hand, right now. It is important that the defendants and their Jacksonville lawyers start building a case and defense as soon as possible.